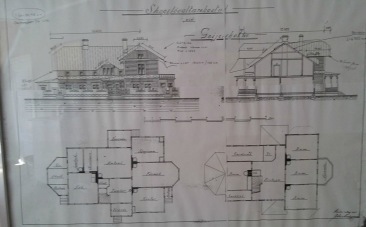 The first "Herrgård" was located in the 19th century southwest of Geijersholm Bruk (an ironfactory at that time) when it was a building to house the inspektors. The next "Herrgård", which burnt down, could be found at about the same place where our mansion is today when it housed the administrator or manager (of what is not quite clear). 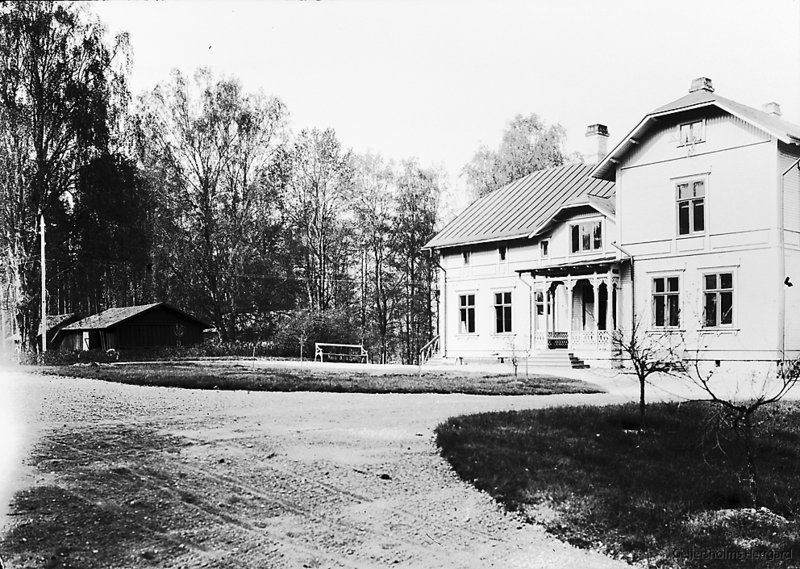 Our mansion as you find it today has always been the "Herrgård" and it housed the local forester until the end of the 1940's. 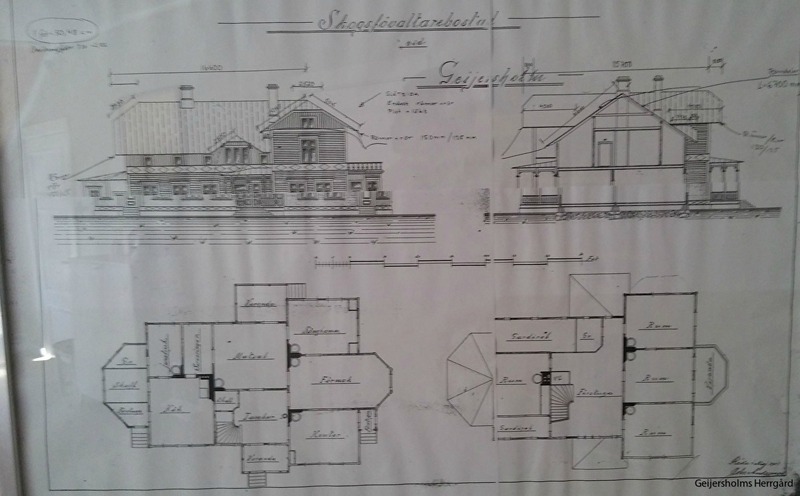 Our manor was first registered in 1929, but drawings of the house originate from as early as 1901, when it meant to become the principal stay of the forest manager of the area. The photo below is from 1907 and shows a complete and established manor! It is quite nice to see that the building itself still looks very much the same today. This picture from 1944 shows how the drive-way was quite different with grass rather than today's gravel. The climbers on the house are gone today as well. Perhaps some inspiration for future changes to the exterior? 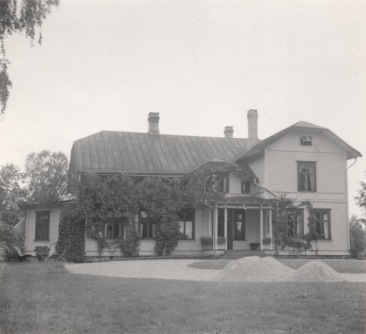 Locally many people today know our mansion as "Lionsgården", because it was the Lions Club who owned the place for many years until it changed owner in 2010. The new owners, Jan & Hanneke van der Zanden (also from the Netherlands) renovated the house entirely and made it to what you can see and experience today. While we, as the current owners since June 2017, slowly but surely get settled, we will investigate the history further as best we can and provide updates on this page.